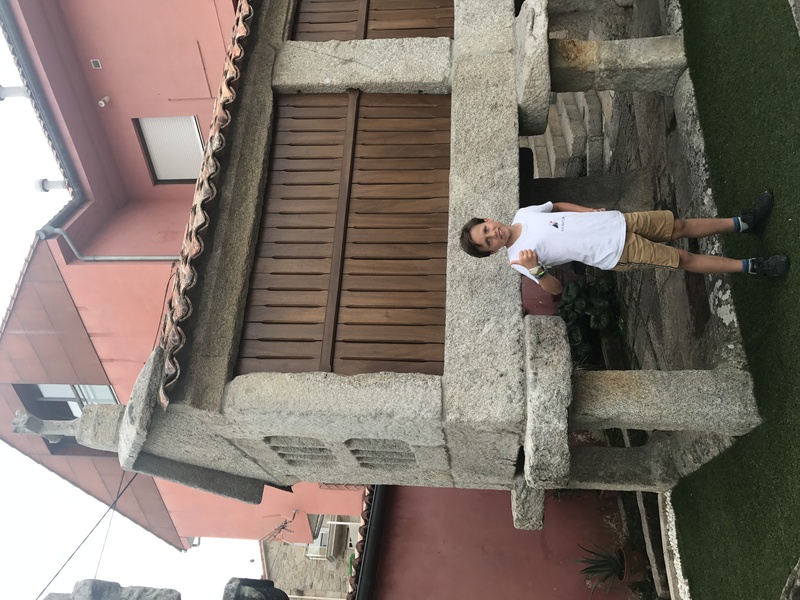 A short hop to Combarro, listed as an incredibly beautiful traditional Galician villages. It delivered. Tiny stone streets curling around tiny old fisherman’s houses and blending into tiny farmer’s houses as you moved deeper into the village. Incredible shapes and nooks and crannies and some creepy derelict houses for Emma to peer into. She has a great fear and fascination for these things. We had a walking dinner to enable us to test as many restaurants as possible. Our target was 4 but after the 3rd we couldn’t fit another bite and it was 2330 so we headed back to the boat to digest for the night. Our last stop in Spain is a place of great historical importance. On the imposing ramparts of the Castelo de Monterreal that dominates the village, Macsen took his first steps! This is an interesting castle for a number of other reasons as well. Wikipedia claims that this castle dates back from the year 60, when Julius Caesar conquered Baiona…odd as he died in 44 B.C. I am generally a great fan of Wikipedia but this one does not seem quite right. All the same, it is a beautiful castle with a rich history cemented in its various towers each built by different ruler, in a different time for similar reasons of glorification. The castle sits upon craggy cliffs and offers a stunning 360 degree view of the islands in the area. 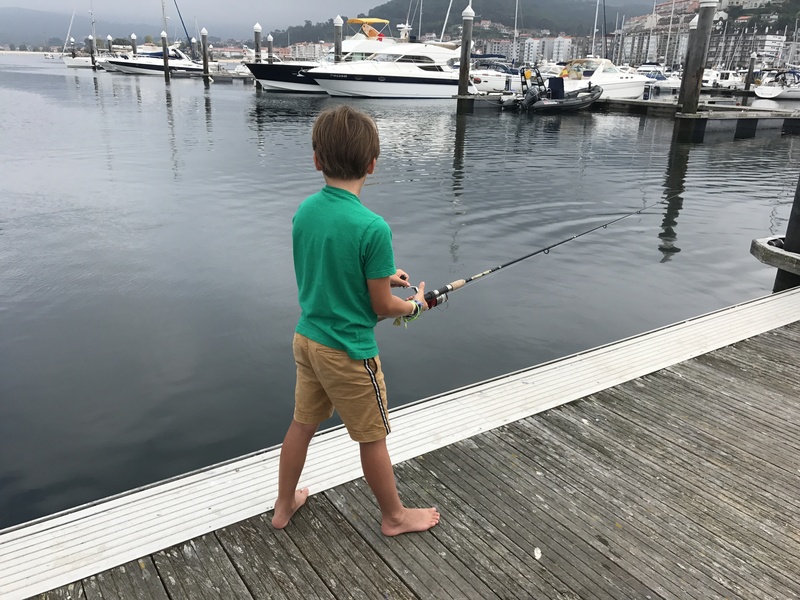 We spent a few days enjoying Baiona, exploring the castle and surrounding areas, visiting wonderful restaurants and topping off with our daily helado knowing that this would be our last stop in Spain. Macsen also had a visit with his good buddies Tim and Yelle from the Tijd. Although we are more rushed to date vs. our last voyage we have chosen to make fewer, longer visits rather than trying to see every village and site of interest that crosses our path. To date, this is working very well for all of us. It gives us the time to get to know each place better and is a more settled, relaxing way of travelling. School studies take up a significant portion of most days on land and this approach also makes this more manageable.